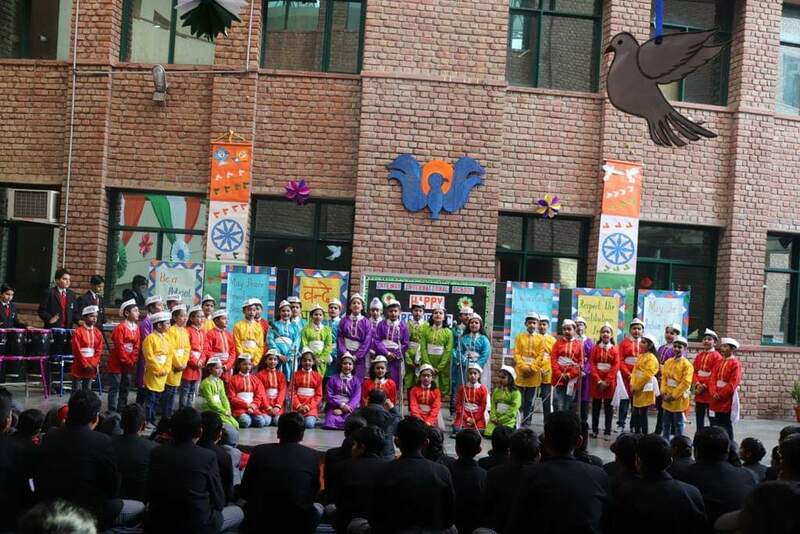 The 70th Republic Day was celebrated in Gateway Education with great pride and solemn dignity. It is indeed a fitting occasion to reaffirm our pledge to value and reserve a pride of place for our nation in the hierarchy of the world order. The programme started with the flag unfurling ceremony followed by speech, mime, dance and music performances. On this occasion our Executive Director Mr Rahul Mangla and the principal Mr Praveen Masta reminded the august gathering of the School Management, Teachers and Students about the cherished dream of aur revered freedom fighters who envisioned a free India based upon the eternal values of sovereign, democratic Republic. The vote of thanks was given by the Headmistress Mrs Indu Dhingra.